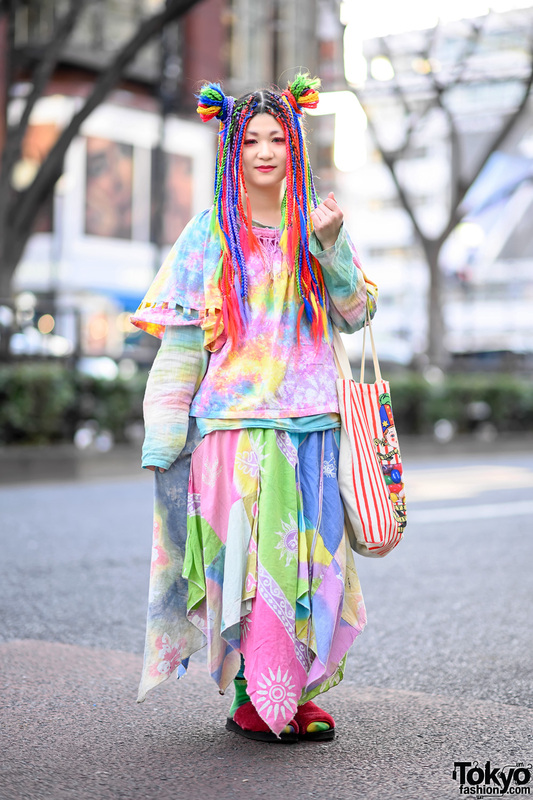 Okusako is an 18-year-old student we met on the Harajuku street one late afternoon. Sporting an all black outfit, Okusako is dressed in a black Astro Boy t-shirt from San To Nibun No Ichi, tucked into black high waist shorts with large button closures and front pockets, which she sourced from Kinji. She donned neon green see-through socks, and paired them with neon yellow sneakers from Nike. 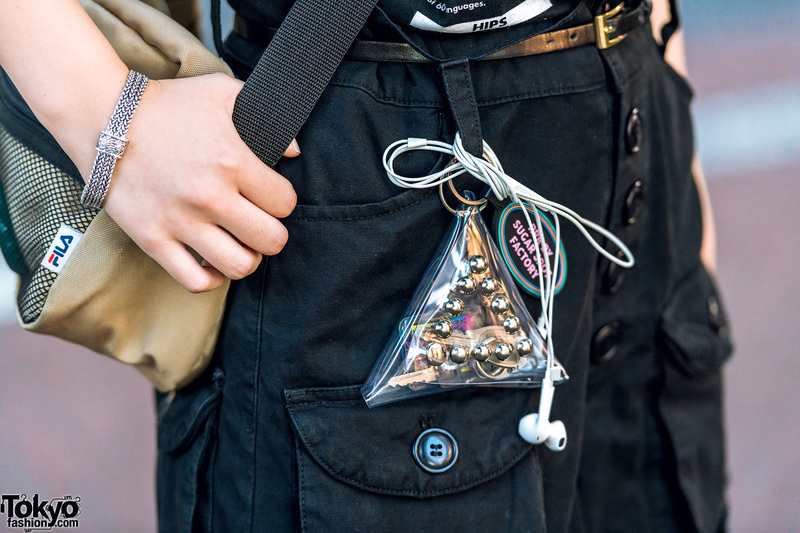 She accessorized her look with a silver necklace, a black skinny belt, a rhinestone bangle, a clear triangle keychain purse and an RRR by Sugar Spot Factory keychain. 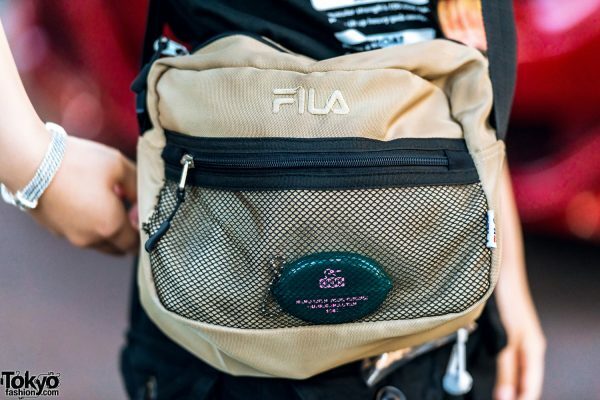 In addition, Okusako is wearing a tan Fila crossbody bag. Kinji and RRR by Sugar Spot Factory are two of Okusako’s favorite fashion brands, and she likes listening to the music of South Korean boy band, BTS. For more of Okusako take on streetwear dressing, follow her on Instagram.